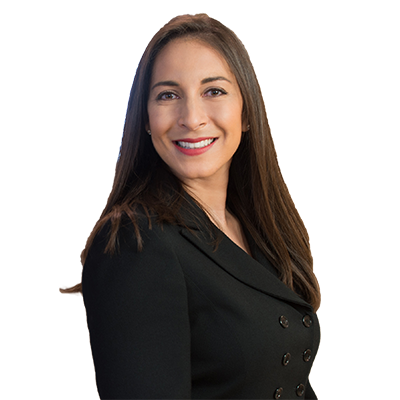 Christine Diaz Reynolds defends clients in complex commercial, product liability, and catastrophic personal injury matters in state and federal courts. Since 2011, she has litigated more than 100 matters, and her experience includes pre-litigation case evaluation, drafting responsive pleadings, written discovery and depositions, and drafting case dispositive motions. Christine has participated on several trial teams by drafting trial briefs and motions in limine, trial examination outlines, voir dire, and other pre-trial documents. Christine’s clients include hotels, construction companies, childcare facilities, elder care centers, farms, marinas, wineries and fitness equipment companies. Christine has defended clients throughout the state of California in cases arising out of general negligence, premises liability, products liability, trucking and motor vehicle accidents, and construction site accidents. She also has extensive experience defending corporations against allegations of unfair business practices (Cal. Bus. & Prof. Code §17200), violations of the Unruh Civil Rights Act, breach of contract/covenant of good faith and fair dealing, and defamation. Christine is a skillful writer and has successfully drafted and argued multiple case-dispositive motions. She also understands the value of applying soft skills in the litigation context and a large aspect of her practice involves building and maintaining a positive rapport with opposing counsel and leveraging those relationships into positive outcomes for her clients. Defended a real estate photographer in a general negligence case resulting in a defense verdict at trial. Defended a day care facility in a negligent supervision case resulting in a jury verdict below the pre-trial CCP §998 Offer to Compromise. Drafted successful motion for summary adjudication disposing of plaintiff’s claims regarding farm’s responsibility for its employee’s negligent operation of a farm-owned vehicle. Negotiated mutual release in complex commercial matter involving claims for breach of contract, unfair business practices, defamation, and trade libel, resulting in settlement without payment of damages. Represented a winery in Healdsburg, a hotel in Laguna Beach, and a marina in Dana Point in trip and fall cases. Represented national equipment rental company in a wrongful death suit arising out of a pedestrian versus auto incident. Represented national fitness equipment distributors in multiple product liability suits. Prior to joining Taylor | Anderson, Christine spent two years as an associate in a boutique business litigation firm, clerked for a prominent San Diego plaintiff-side law firm, and was a legal assistant at a boutique construction defect firm in San Diego. Spending time outdoors with her husband, son, and black lab; reading fiction and design blogs; cooking and trying new recipes.